Vicodin® (hydrocodone/acetaminophen) is also sold as Lortab. This drug is used to treat chronic, acute, severe pain, or post-operative pain. The acetaminophen in Vicodin®/Lortab is a pain reliever, but it’s not as powerful as the hydrocodone in these drugs. However, the acetaminophen increases the effect of the hydrocodone. 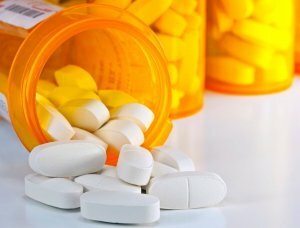 The FDA tried to ban hydrocodone from the U.S. market in 2009, because as an opioid, it is quite potent, and it can be addictive. Because the hydrocodone in Vicodin®/Lortab is an opioid, it presents a possible risk of birth defects, including heart defects. Some researchers believe that despite the lack of clear evidence, babies whose mothers take the drug while pregnant are at risk for certain birth defects.